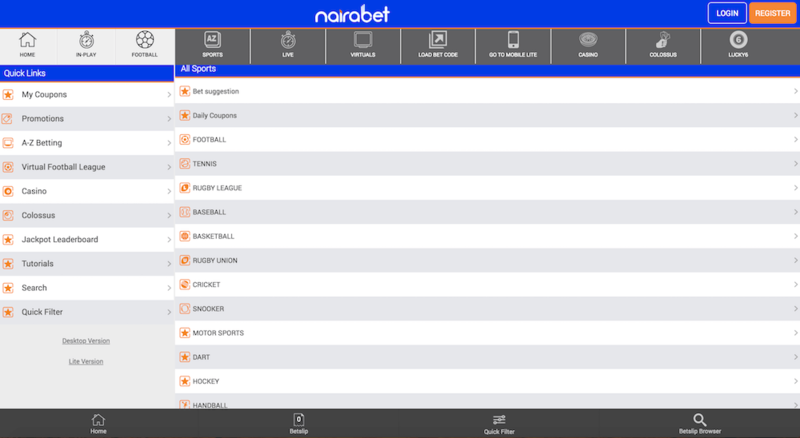 With both sportsbook and casino options – and what appears to be an extensive amount of content on the homepage –, NairaBet is clearly setting its sights on providing their users with a little bit of everything. Hopefully, this jack-of-all-trades won’t leave us with a shaky final product. The bright, blue welcome screen of NairaBet certainly kicks things off with a cheerful start. It manages to have a sense of fun and personality, while its big, blocky aesthetic keeps everything easy to understand and navigate. However, amongst all this positivity is a lack of welcome bonus. That being said, we did spot other promotional options available – more on that shortly – which we hope will more than make up for it. Although NairaBet does seem to focus mostly on sports, there also appears to be a casino option, meaning that this will hopefully turn out to be a well-rounded, satisfying experience. But there’s only one way to find out and that’s to dig deep into exactly what makes NairaBet tick. As we have said, NairaBet does lack something in the way of a big welcome bonus. However, that doesn’t mean it’s lacking in promotions in general, with several options available at the time of writing. And that last part is important because often promotional pages can change. In fact, it’s quite common for some promotions to only be available for a limited amount of time or applicable only to a specific event. This means that things can change, so if you have different promotional options than the examples given here when you visit then NairaBet site, then that’s not particularly unusual. Regardless, we hope that the examples we give should provide a decent indication of the type of quality you can usually expect from NairaBet in this regard. Also important to point out is the fact that this is intended as an overview of the promotions and not a complete rundown of all the terms and conditions. You can find the full details on the site itself. Monday Funding Madness: With this bonus, you can get rewards for depositing funds on Mondays. The free bet amounts to 10% of the player’s first deposit between 9 am and 9 pm on that day, with a maximum value of N50,000. The minimum odds are 1.20. One Game Cut Your Ticket? : The confusing name aside, the premise here is straightforward. If you place an accumulator bet on 10 games or over, with minimum odds of 1.20, you can receive some money back. How much money you get back is quite complex and is explained on the site itself, but this does seem fairly generous. NairaBet Goalless Draw Money Back: If a match ends in a goalless draw, you can get your full stake back. 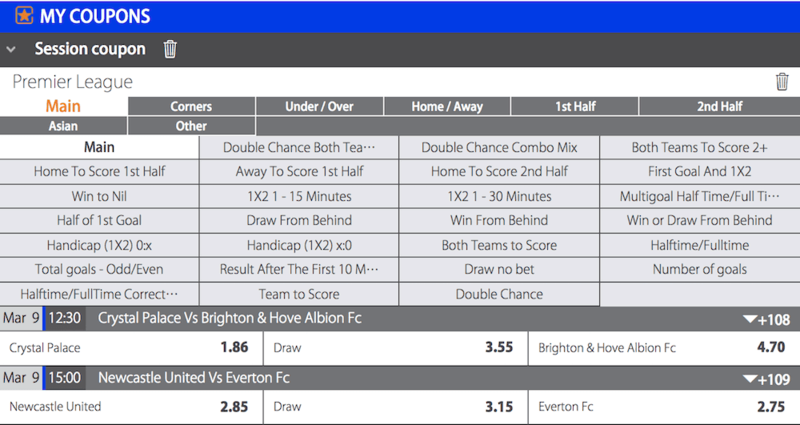 This works on pre-match singles bets in the English Premier League on the 1×2 markets. The maximum return is N100,000. It’s a straightforward offer here, and a good one. Does NairaBet manage to make up for a lack of a welcome bonus? For the most part, we’d say yes. The offers we looked at all seem to provide real value to the player. Although, if they were to add a generous bonus offer, we wouldn’t complain. It’s clear from the offset that NairaBet is aiming its sights at being an operator with a lot of content. 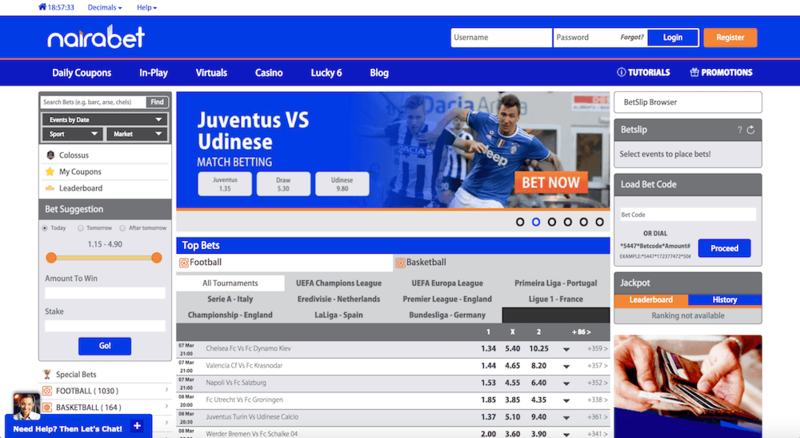 It aims to be the kind of site where someone can have pretty much all of their betting needs taken care of. Does it manage it? Well, it depends on what you are looking for. If your interests lie in fairly popular sports, then there’s a good chance you’ll be satisfied here, especially if your key interest is football. However, a lot of the more niche examples aren’t available and that’s a shame, especially with the absence of e-sports. In all honesty, it initially looks like there’s more available here than there actually is. That’s not to say that the amount of betting options is bad – the sheer amount of leagues available for football will please many. It’s just that it’s missing in certain areas where we wish we could see more. Onto the mobile side of things and while there is no dedicated mobile app available, the mobile version of the NairaBet site does seem to work very well. It has around the same amount of sports content as the desktop site, although it sadly appears to be missing the casino sections. Still, if you’re here for the sportsbook, then you’re bound to be impressed by this shrunk down version of the main site, which keeps things clear, concise and easy to use. There’s even a light version if you’re on a smaller mobile device as opposed to a tablet or a smartphone. Unfortunately, there’s no live streaming of sports on NairaBet. However, there is a very impressive virtuals section, which features football, tennis, horse and dog racing. This includes plenty of betting options as well, so you can get fully invested in this virtual betting world. One area in which NairaBet is severely lacking is in its banking information. There’s general information on the FAQ section but, unfortunately, not much that we could find in terms of fees, transaction times, ID verification or limits. While we’ve not seen anything to suggest that issues with banking are a common problem for the users of this site compared to their competitors, the lack of clear information here is nonetheless frustrating. From what we could gather, deposit options include bank deposits, debit/credit cards, GTBank, Verse and Interswitch. On the plus side, even if the information regarding banking is lacking, there’s plenty of customer service options to answer your questions. There’s email, phone line and live chat options to choose from. The only thing that wasn’t clear was if the live chat function is available 24/7. In our research, we found that it seemed as though the majority of NairaBet customers found their service to be both fast and friendly, and answered their questions competently. Obviously, we can’t speak for everyone’s interactions with the customer service team, but that is the impression we got. NairaBet state that they are licensed and regulated by the National Lottery Regulatory Commission. However, this is otherwise an area where a lack of information lets them down. We have little to refer to when it comes to encryption or the fairness of their casino games. That being said, they do generally appear to have a good reputation in this regard. The majority of the feedback on the site we found in our research was positive, suggesting that customers were happy with things like the reliability and fairness of odds. We hope that this is a mere oversight rather than anything NairaBet is lacking. Regardless, without any direct information from the site to go on, we cannot claim anything concrete regarding the missing information. There’s no doubt that NairaBet has an audience. 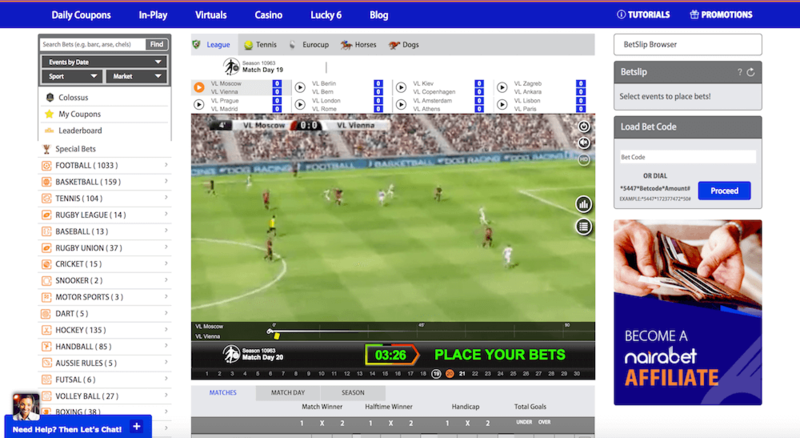 If you’re someone who is mainly interested in football betting alongside a couple of other major sports, and you like some additional content as a bonus, then you may find what they offer to be perfectly satisfactory. Unfortunately though, the initial impression of a huge betting site with mountains of content hasn’t quite turned out to be true, even if what we are left with is still pretty decent. The other issues – specifically when it comes to them not explaining things very well – is a silly oversight that they could, and should, easily rectify. Overall, NairaBet is a limited betting site, but one which does specific things well and will please a certain crowd.